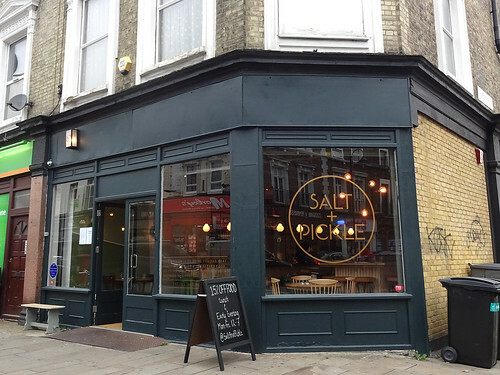 This week's featured article is Salt and Pickle, SE19 1TS, which is of course a wine bar with an interest in pickled things. It's all very interesting, it sounds like, especially the wine list... but not so much the bread. Two new articles are Natraj, a very small Indian vegetarian cafe in Rayners Lane with generous portion sizes, and Station Pantry in Upminster (across the road from the station), also very pleasant but again the bread comes in for a spot of criticism. Finally, there are updates to three articles: Hare and Tortoise's Ealing branch; Viet Rest (short for Vietnamese Restaurant, which is what it is) in Deptford, where the pork sounds like a winner; and Deli Felice in Rotherhithe, friendly but again watch out for the bread. 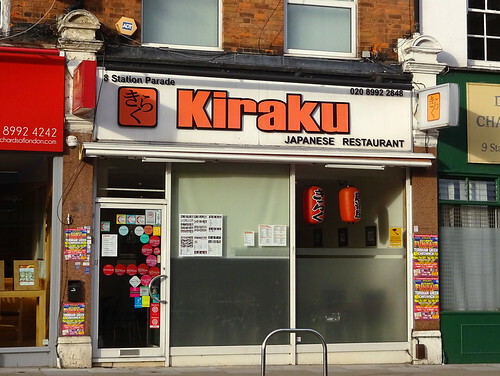 This week's featured article is for Kiraku, a Japanese restaurant-pub combo, near Ealing Common tube station, where the quality of the cooking justifies the above-average price tag. We have new articles for three veggie and vegan-friendly cafes: the Rail House Cafe in Victoria has some interesting breakfast options, the St Gabriel Ethiopian Delicatessen in Finsbury Park has flavoursome food in big portions, and Cafe Provencal in Herne Hill offers breakfasts and burgers that make up for their lack of structural stability with high levels of tastiness. But wait - there's more new cafe pages! Le Delice in Ladywell sounds like a pleasant, relaxing place to pass the morning, while Morden-based Romanian cafe Time In Ro feels like it should be a pun, but on what, I'm not sure (frankly there's Morden enough puns available in the area already). Rounding off the week, there's an update to the Ladywell Tavern page following a recent visit, while the Gowlett pub in Peckham ('East Dulwich borders') has closed down. 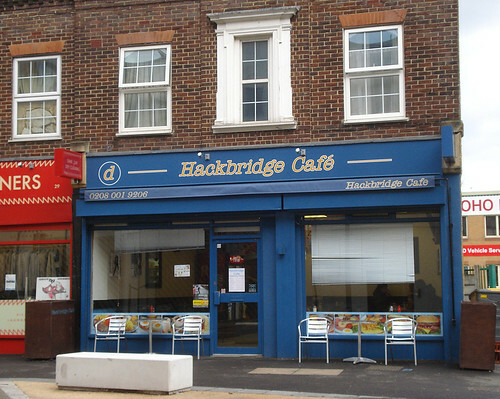 This week's featured article is for the Hackbridge Cafe in sunny Hackbridge. 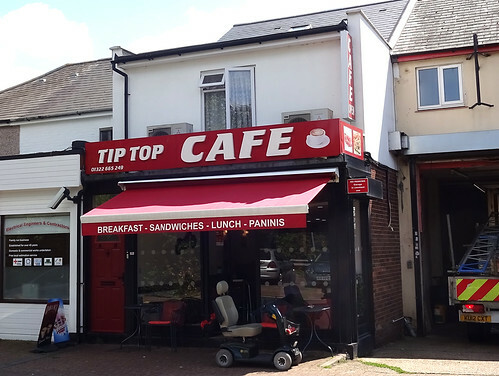 They serve greasy spoon breakfasts with just the right amount of grease, and pay close attention to how long your teabag is brewing for. 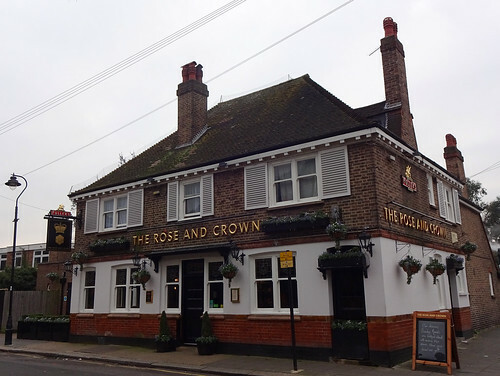 There are updates to two pubs: the Goldsmiths Arms in East Acton, and the King's Arms in Ealing. The Goldsmiths seems to be a case of quantity over quality, but the King's Arms has plenty of beer and a perfectly reasonable Thai buffet. If I were equidistant between the two, I know which pair of arms I'd run towards. Finally, staying in West London, Coco Noodle Bar in Ealing has closed, and is now a sushi restaurant. Hello! 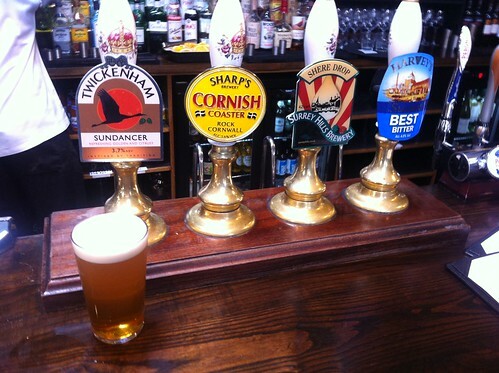 Unusually this week the featured article is not a place but a category: the Good Beer Guide 2013. Every year on the release of this guide, Kake uploads the 2013 pub information, and as a result a number of new pages are created in RGL (which she and other contributors try to visit before the publication date). It's worth pointing out that the new articles that have been added as a result do not represent all the new 2013 GBG pubs, just the ones which didn't already have a page on RGL. 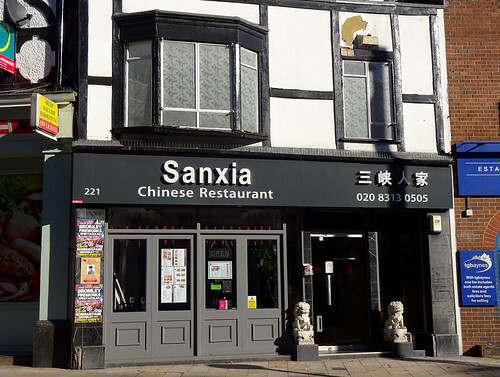 The new articles which are not GBG-related are: Dost, an Indian street food restaurant in Uxbridge; Bookworm, a second-hand bookshop in Carshalton; Raizes, a Brazilian restaurant in Bethnal Green; and Cafe Z Bar, a greasy spoon cafe in Stoke Newington. * The Black Lion in Essex's Epping. * The Windmill in Mitcham. No closures reported this week. 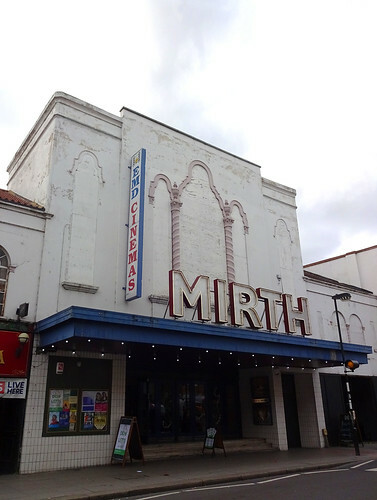 New featured article — Tuli, SE1 2TF. 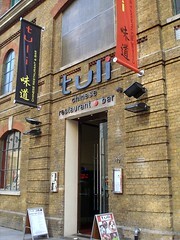 This week's featured article is Tuli, SE1 2TF, a Chinese restaurant on Tooley Street near London Bridge station. Originally opened as a pan-Asian buffet restaurant, it's now a white-tablecloth à la carte Cantonese serving dim sum all day. Quality is reasonable, and the dim sum menu includes items like congee, cheung fun, and turnip paste, all of which are good signs of some skill (or at least ambition) in the kitchen. As befits today's Blogging Against Disablism day, physical access to Tuli is good; it's step-free to get in, to get to the main dining area, and to get to the toilets. There's a separate accessible toilet, but in addition there's an extra-wide stall in the ladies' with grab bars and a door that opens outwards. 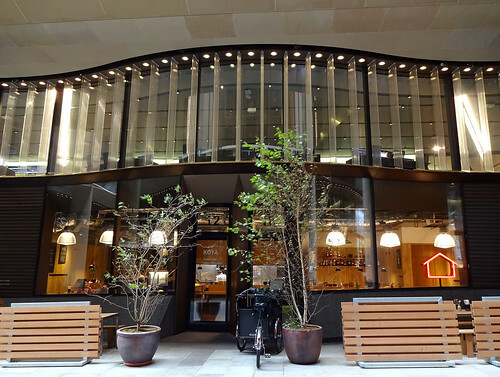 Recent additions to RGL include Riding House Cafe, a new cafe/bar in Fitzrovia; Red Barn, a pub in Barnehurst; Birchwood, a pub in Abbey Wood; Coco, a pan-Asian noodle bar in Ealing; and Wide Fit Shoes, a specialist shoe shop in Kenton. We've also added proper writeups of Fox & Goose, a Fuller's pub/hotel near the Hanger Lane Gyratory; and Pleasure Boat, a small pub in Alperton. Reported closures are Rump in Putney, and many branches of Oddbins. kake - New featured article — Tuli, SE1 2TF.